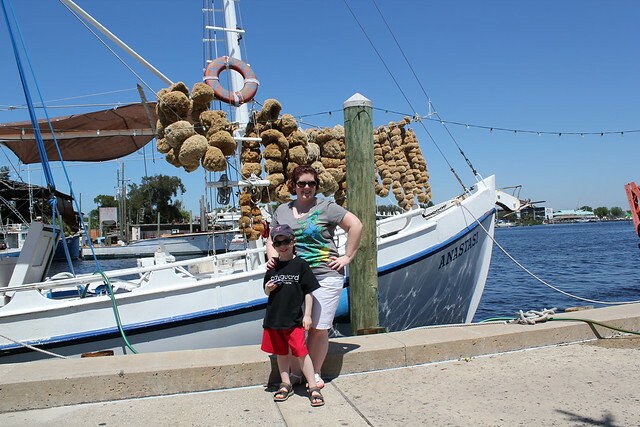 Better weather and the promise of Greek food brought us to Tarpon Springs on Friday. The town is famous for its Greek sponge diving community. The historic area is basically one long street on the water that is lined with Greek restaurants and souvenir shops. I've been visiting it since I was Benjamin's age. It was fun to share it with him this time around. The shops and restaurants there have deals worked out with each other where you can get a coupon for one place at another and vice versa. We ate at Costas because someone gave us a coupon for free wine/soda/baklava. 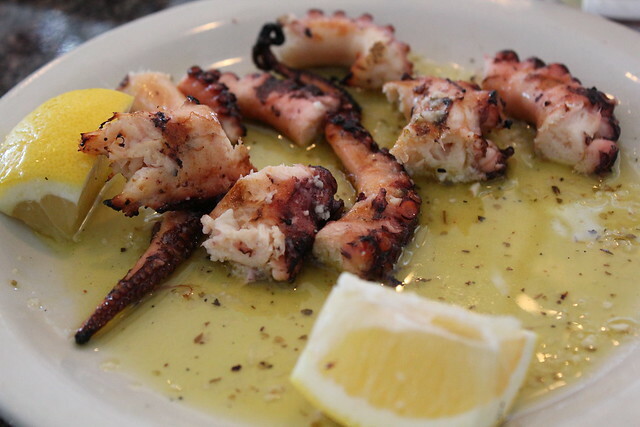 Mom, Dad and I shared a plate of broiled octopus. It was great to get some fresh(?) seafood. 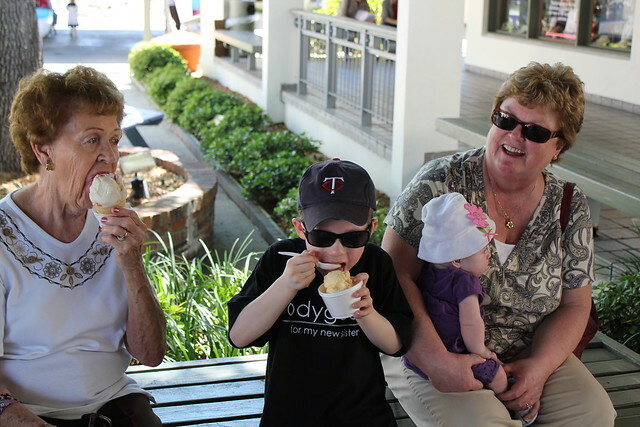 The big kids (Dad, Grandma and Benjamin) "dived" into some ice cream after we shopped around a bit. Benjamin experienced tragedy when his scoops took a flying leap off of his cone onto the ground, but the shopkeeper was kind enough to give him some new scoops - this time in a cup. 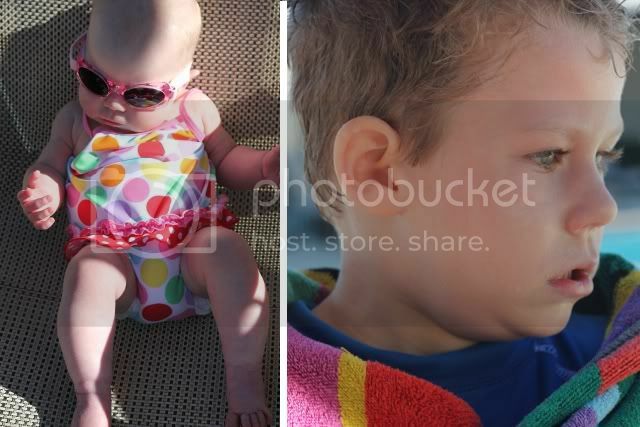 After tiring ourselves out by walking around Tarpon Springs, we decided to head back to Grandma's to swim in her pool. The weather was warm enough, but the water was not. 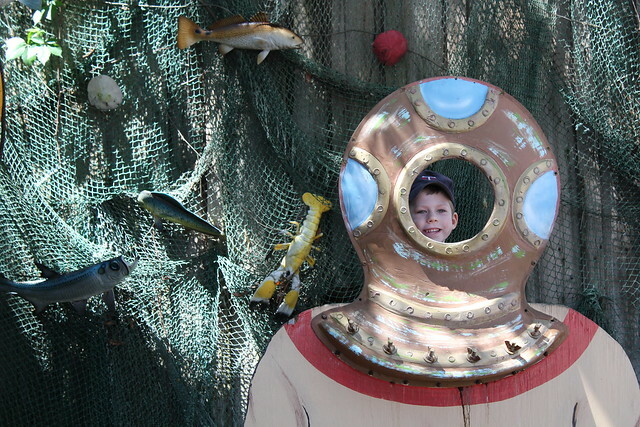 Benjamin had the shivers, which I remember all too well from swimming in the same pool years and years ago. Lucy is much too little to take a swim, so she lounged by the pool in her new swimsuit and sunglasses, making sure to stay out of the sun. 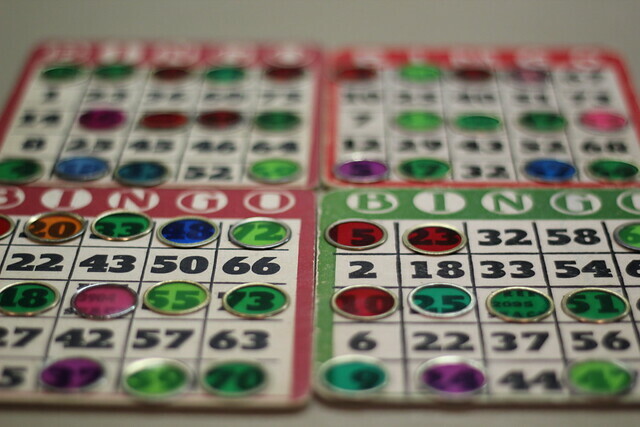 Friday night is bingo night in the clubhouse at Grandma's condo complex and it was her turn to organize the games. She didn't have to call out the numbers though, so she was free to sit with Mom, Benjamin and I. Benjamin had a couple of close calls during a few games, but it wasn't until the very last game that any of us actually won anything. I just happened to be the lucky winner of $7.00 on the last cover-all game. I was very pleased with my big win!